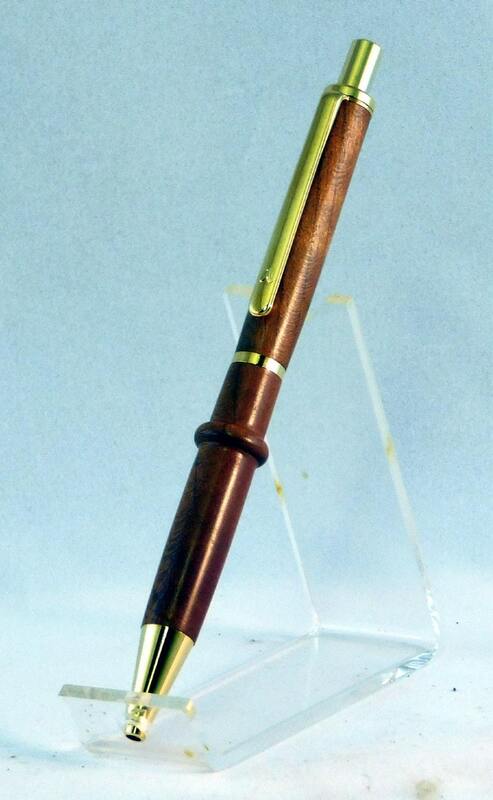 This is an Artisan Click pen with 24kt gold plated hardware. The body was turned from a piece of cherry wood. Inside features a precision click mechanism and a Parker-style refill with black ink.